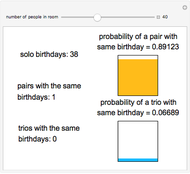 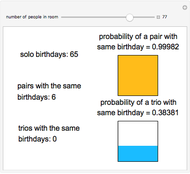 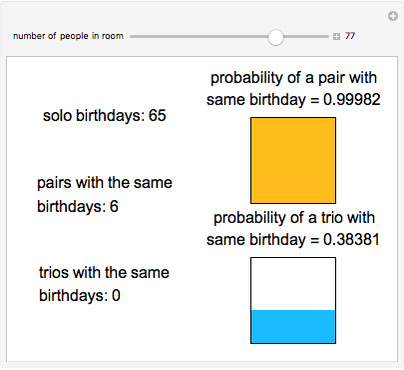 A famous problem in elementary probability is to compute the likelihood that two people in a room with people have the same birthday. 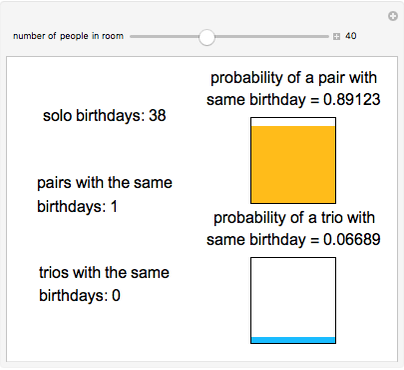 Here we adopt the common simplifying assumptions that the birthdays in the room are drawn independently and at random from a 365-day year. 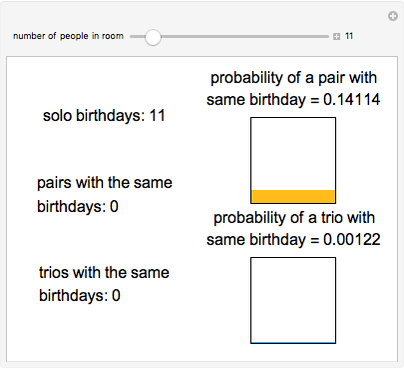 Use the slider to adjust the number of people in the room. 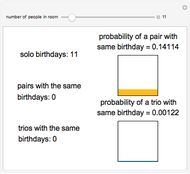 Chris Boucher "The Birthday Problem"
How Old Would You Be on Another Planet (or Pluto)?